Period Gates have sturdy, elegant iron gates that are perfect for your London property whether you need driveway gates or garden gates. You will be amazed by the sheer range of designs we have – and the quality of the workmanship. Each of our iron gates comes with a guarantee that lasts for many years. Request more information on our exciting range of Victorian iron gates or tell us what kind of gates you’re looking for and we’ll be happy to help you make a decision. You can also reach us by telephone on 01384 900 260. There are many reasons Period Gates are the first choice for London homeowners looking to give their homes some Victorian flair. You want a pair of iron gates that will make your London home stand out and Period Gates have just the thing. With a wealth of collections, each boasting several eye-catching designs, you can have a gate that can reflect your unique personality. You can browse through our expansive gallery of past projects if you need some inspiration. Here you will also find an array of stylings for your railings if you would also like to change your existing ones. These fixtures are available in several different colours and sizes as well. Our gates are made using traditional techniques that have been handed down through generations of craftsmen. What you will be installing at the top of your London driveway or pathway will be a solid thing of beauty, not the flimsy replicas offered by many other vendors. The iron gates are built using the same methods used by 19th-century metal workers to produce those majestic time-tested gates and railings of that period. Period Gates products are designed and made to stand the test of time. 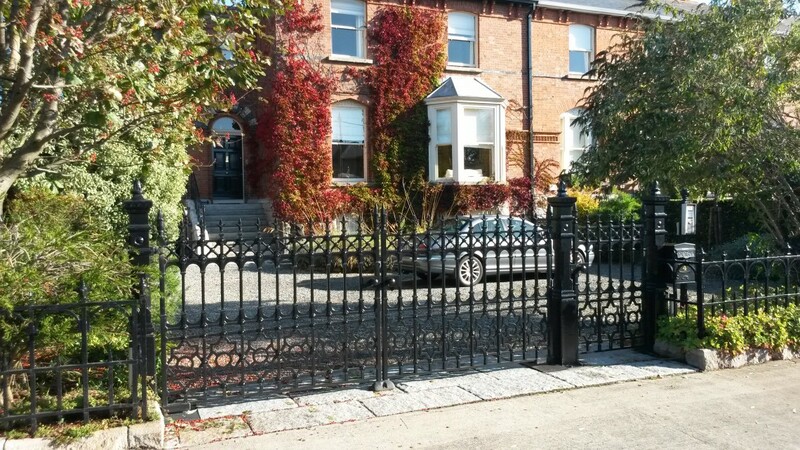 Once fitted in your London residence, your iron gates will stand for many years without the need for repairs. To find out more about our range of iron gates for your London home, send us an online request or give us a call on 01384 900 260.